Where did we go? Säntis, Zürich & Rapperswil. Last week my family made a pit stop at our place while traveling from France to Italy. Before they arrive in Zürich, Switzerland, we were discussing where to bring them for sight seeing. They stayed for a short time. Only for 5 days before they continue their journey to Italy. 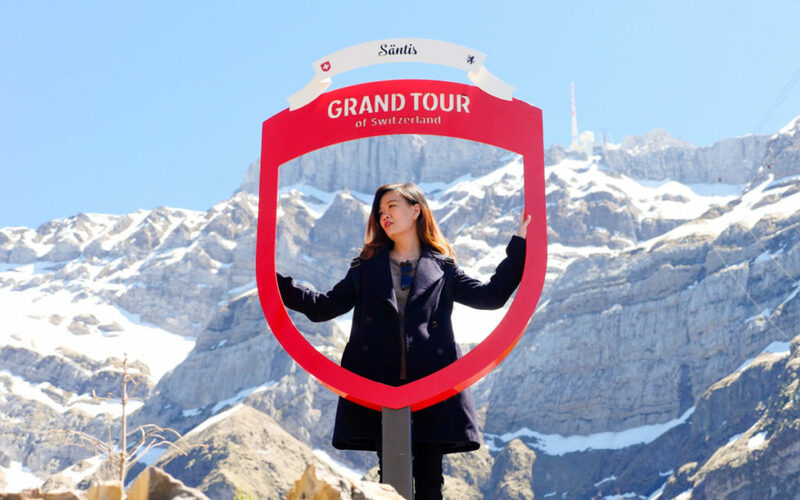 My mum was traveling with my sisters and their schedule were quite intense in France and Italy so we decided that they should have a more relaxing time in Switzerland and that it should be less stressful and tiring for my 70 years old mother. 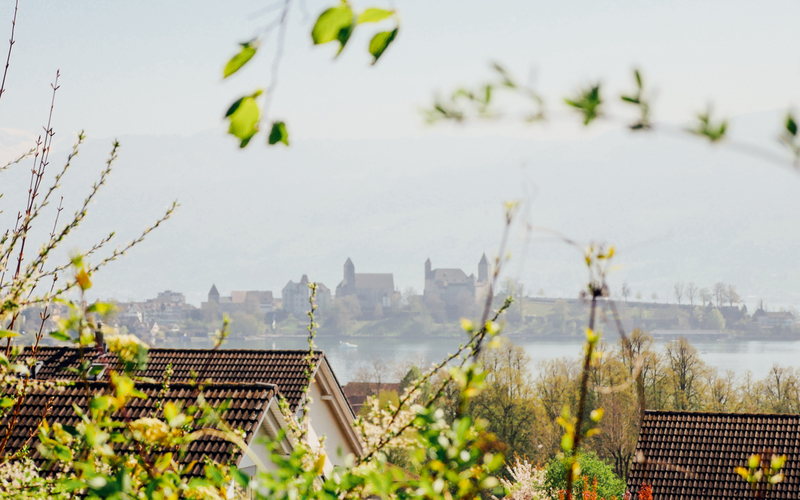 We live on the eastern upper side of Lake Zürich about 26 kilometers from the city of Zürich so this travel guide would be useful if you are traveling or staying around Zürich. While planning for this trip for my family, we took account 2 main criteria; 1) Cost 2) As close as possible to Zürich. Travelling to Switzerland is not complete if you don’t go to the Swiss Alps. Switzerland is surrounded by mountains. 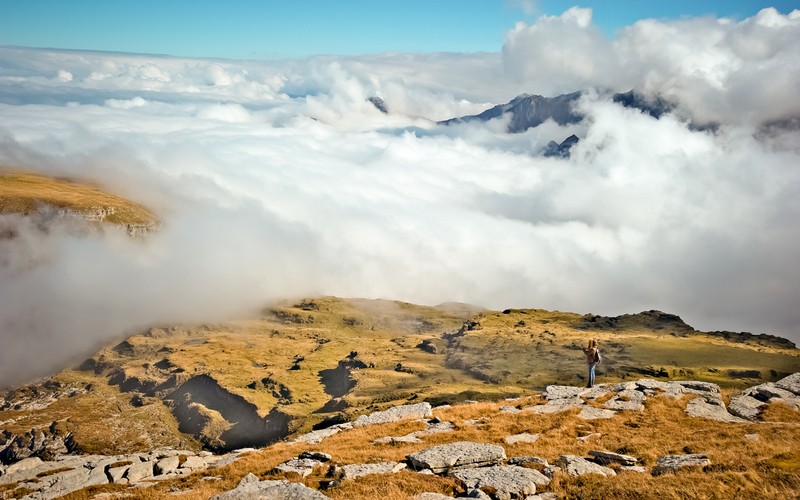 Looking down from the top of the mountain to the tiny world below is a priceless and unforgettable experience. If hiking is not for you, there are beautiful less touristy mountains which are accessible with short ride of cable car or furnicular. We brought the family to Säntis 2502 meter. You could go up to the peak with a big cable car (100 person capacity) which only cost about CHF45 for round trip. Schwägalp (foot of Säntis) is 1.15 hours by car and about 2 hrs by train & bus from Zürich city. There are hotel rooms to rent at Säntis & Schwägalp. You could take the cable car up to watch sunset or/and sunrise. I think that would be a very cool experience. More information on Säntis & see the webcam here. Chäserrugg 2262 meter – Ticket CHF 58 round trip. This was our first choice for mountain tour because we went to Chäserrugg in 2015 and loved it. However, the cable car was not operating last week. The operation will only start this week which is sort of the start of summer. The operation of the furnicular and cable car is seasonal so you have to check the schedule here if you are making plans to visit Chäserrugg. The reason that I like Chäserrugg is because you could take a walk on the peak, have picnics or have meals in the restaurant. Unterwasser (the foot of the mountain) is 1.20 hours by car and 2 hours by train & bus from Zürich city. View the live webcam here. 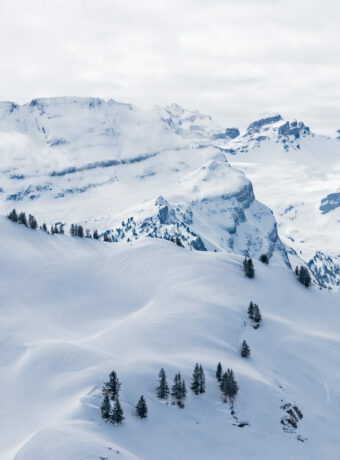 Rigi Kulm 1796 meter – Day pass CHF 72. There are several starting points to get to Rigi. The easiest way from Zürich would be Arth-Goldau which is accessible with direct train from Zürich main station. The day pass allowed you to take the cog wheel train from three starting points; Arth-Goldau, Vitznau & Weggis. I have not been there but Herr Hallo Snr. told me that the view at Rigi is very beautiful. You can view the live webcam here. Note(s): Prices may change. Do check their website for latest prices & information. We visited Chäserrugg in October 2015. 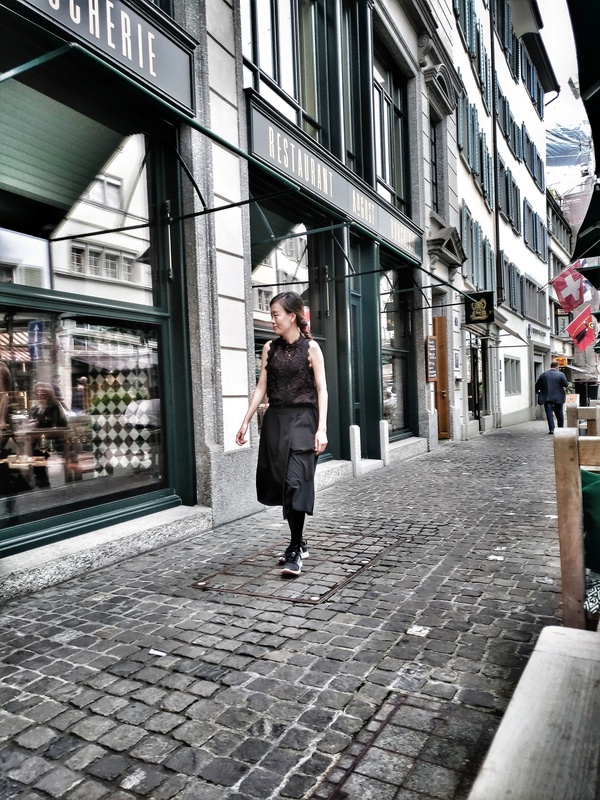 There are plenty of things to see in Zürich. I highly recommend buying a day pass so that you could use unlimited public transport in the city. It’s worth it, trust me. Zürich has a lot of characters. 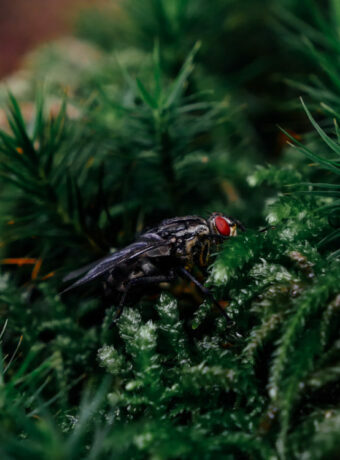 You can chill by the lake or river, enjoy the day at the park, do some shopping, visit the old, new and the hipster part of the city or visit the museum and churches. You name it, she has it! When my family visited we only spent half day in Zürich so I took them to below selected must-see places. We started our visit from Stadelhofen train station. This is high on my must-see list in the city. Niederdorf & Neumarkt is the old town of Zürich. This part is only accessible by foot and bicycle. Basically it is an tight alley with very beautiful old buildings all around, cool artisan shops, restaurants, and bars. There are plenty of side alleyways that surprises you with its beauty. I’d suggest that you start your day early so there is less crowd. That’s the way we like it. Peaceful and the city to ourselves. Grossmünster is a protestant church. According to the website, the construction of this church started in the year 1100. There are magnificent stained glasses inside the church. The church looks closed from the outside but go to the main door to enter the church. There is an option to walk the stairs up to the tower for bird’s eyes view of the city. Highly recommended especially if the weather is good. Entrance to the church is free. To go up to the tower, you need to pay CHF 4. Limmat is a river that flow through the city. Walking along the river is a nice experience. Must take pictures every time I passed the river. If you have time, you could take the river cruise which takes your from the River to Lake Zürich and back. Only CHF9.40. Prices & timetable here. Shopping! Shopping! Shopping! Dubbed the most expensive and also one of the most beautiful shopping street in the world. There are plenty of things to buy on this streets from high fashion to high street. If you are not into shopping, there are plenty of cafes and restaurants in this area especially on the side streets. Lindenhof was a fort but right now, it’s a park for meetings and hang outs. 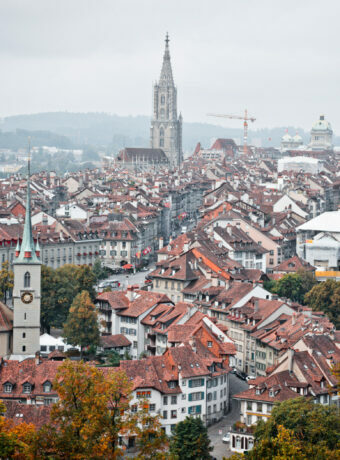 From Lindenhof, you will have a fantastic view of the old part of Zürich. The river, Grossmünster and Niederdorf are all visible from Lindenhof. Strolling in Niederdorf in the morning. View of the old town from Lindenhof. Rapperswil is a medieval town which lies in between Lake Zürich and Obersee. There is a direct train from Zürich to Rapperswil which takes about 3o minutes. It is non as the Town of Roses because there are a few rose gardens in the city with 15,000 roses of 600 varieties. Definitely the castle. The 13th century castle is on the hill and offers an panoramic view of the lake and mountains afar. The compound at the castle is a great place to sit and chill. There is a Polish museum in the castle itself. A deer park lies behind the castle and also Badi. Badi is an outdoor pool usually at the lake. If the water is warm especially during summer, you could swim at the Badi. 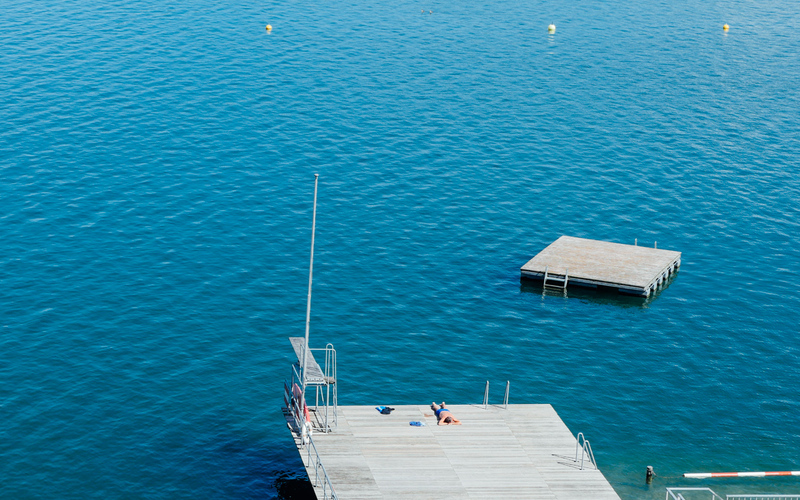 We are looking forward to summer so we could go to the Badi. In the Middle Ages, Jacobs pilgrims used this bridge to cross Lake Zürich to get to Rapperswil and then to their destination – Santiago de Compostela. The old unsafe bridge was rebuilt and reopened in 2001. Some of the original parts of the bridge are still in use. I once came here to clear my mind after a hard day. It is therapeutic simply by walking on the bridge to the middle of the lake. There are so many artisan shops in the medieval buildings. 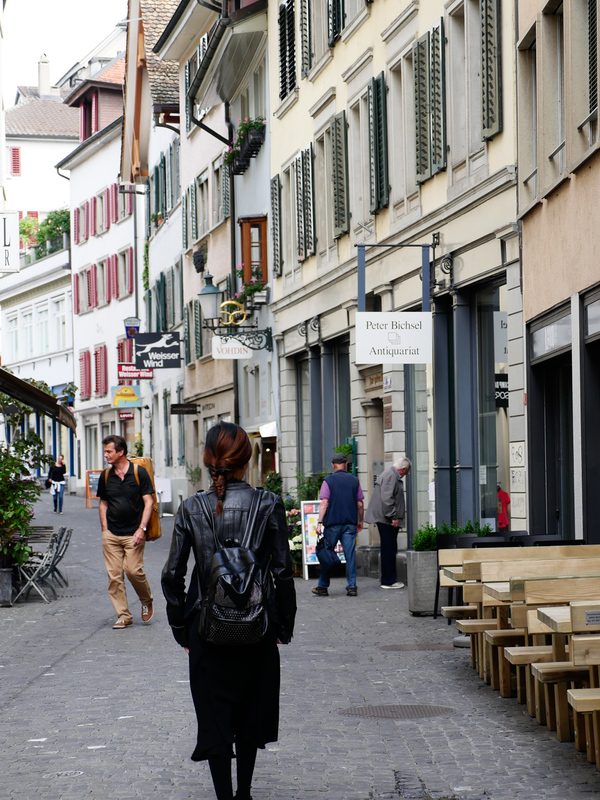 The city is a lot smaller and a lot more laid back than Zürich. I love to walk in the alleys and look into the display windows of the shops. I would suggest downloading Drallo mobile app. 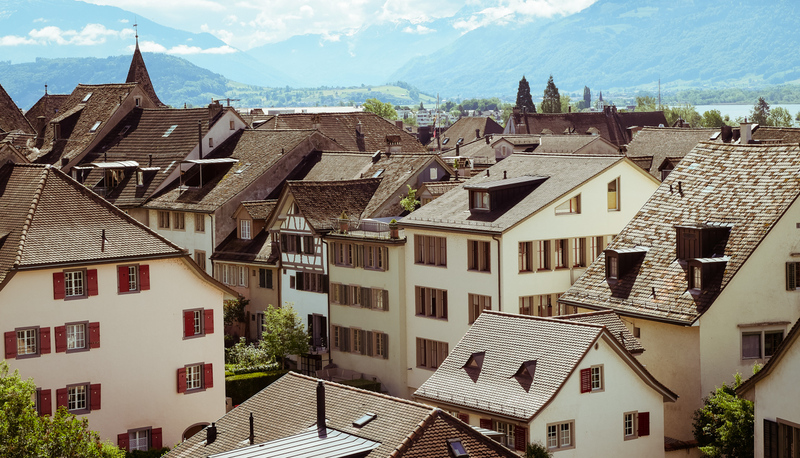 This app will guide you through the city, showing you must-see places in Rapperswil. We used the app once and learn new things about Rapperswil. Pretty cool! There are a few rose gardens in Rapperswil. Two situated right below the castle and another one opposite Kinobar Leuzinger along Obere Bahnhofstrasse. The roses bloom around June to September which is the best time to visit. Panorama view from Rapperswil Castle. 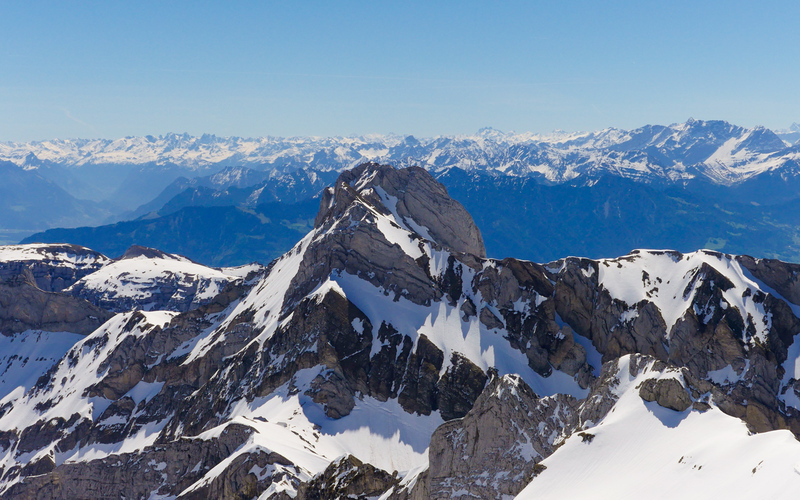 View from top of Säntis. 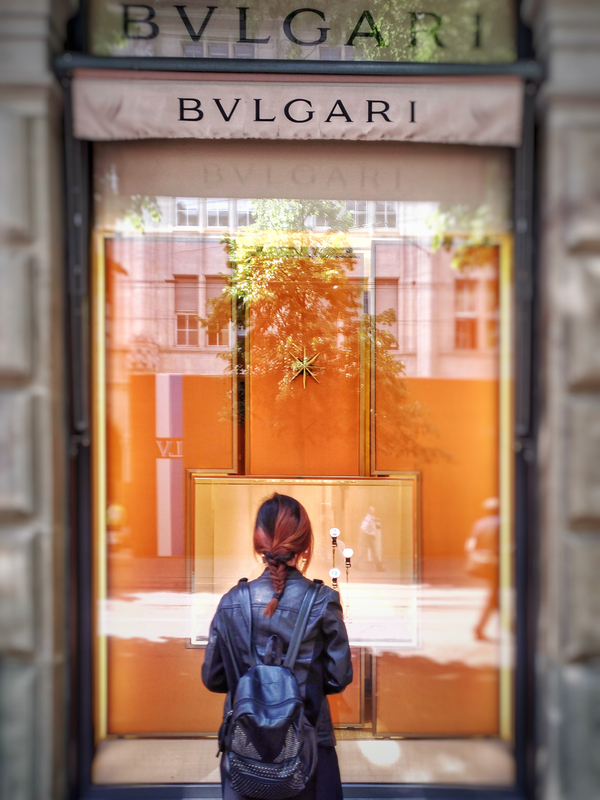 Window shopping in Bahnhofstrasse, Zürich. Have you been to these places? Do you have further insights of places to visit? Would love to hear from you.